Washi tape is an adhesive transparent tape - think of it as a sort of decorative masking tape - which originates from Japan. These tapes are light and can be used in many craft projects, including card crafting, gift wrapping and scrapbooking. 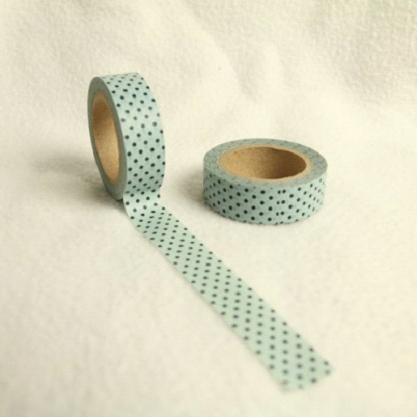 This blue and black dotted roll is 15mm wide and each roll contains 10 metres.